Picasa is an image organizer and image viewer for organizing and editing digital photos. It is also an integrated photo-sharing website owned by Google. More and more people tend to store, host and share photos using Picasa. If you have a great number of great photos stored in Picasa which you'd like to burn onto a DVD disc, the following guide can help you. To burn Picasa photos to DVD, the only tool you need is DVD Photo Slideshow for Mac. With this slideshow DVD creator, you can easily make a slide show of your favorite Picasa photos and burn Picasa slideshow to DVD with music, transitions, theme, menu, text, and more. It is very easy to use and can output high definition slideshow DVD video. Your great Picasa pictures will look even cooler on the big screen of TV with a DVD player. Now let me show how you can burn Picasa photos to DVD using DVD Photo Slideshow for Mac. Download a photo: While viewing the photo you'd like to download, click Actions > Download photo. Download an album: While viewing the album you'd like to download, click Actions > Download to Picasa. Note 1: To download entire albums from Picasa Web Albums, Picasa must be installed on your computer. Note 2: If you'd like to download an entire album from another user, the album owner must enable 'Allow any visitor to download my photos' on the Privacy and Permissions tab of the Settings page. In the Images tab, you will be able to browse all the photos in your Mac. You can drag and drop the downloaded Picasa web pictures in your Mac to the timeline. Switch to the Music tab, and you will be able to add music from GarageBand or iTunes library to the timeline. You can load songs from other folders in your Mac as well. Go to the DVD Menu tab, and you can set DVD title and subtitle, pick a DVD menu theme, and select menu background music for your Picasa slideshow. To burn your Picasa slide show to DVD, click menu Share and choose Burn DVD or click the Burn DVD button in the preview window. You can make some burning settings In the Burn Disc window. 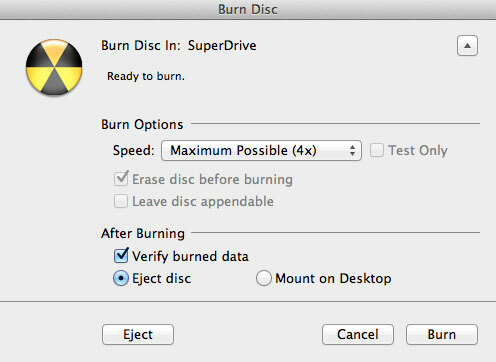 Click the Burn button to start to burn your Picasa slideshow to DVD disc. 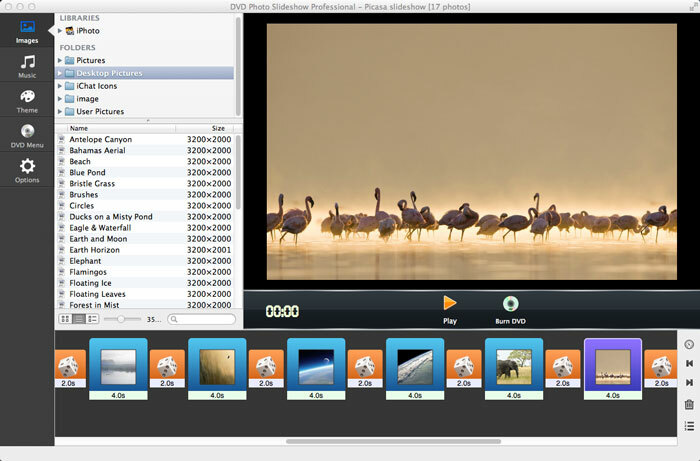 Note: DVD Photo Slideshow for Mac offers a lot more options to create a perfect slide show DVD, such as transitions, themes, Pan & Zoom, photo editor, text, subtitles, speech bubbles, etc. 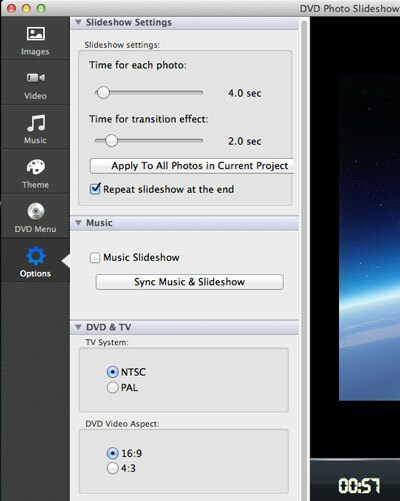 Click to learn more about how to use DVD Photo Slideshow for Mac.